A reconsideration of the fictive truths behind a storyteller's many masks. But Dinesen’s claim on American readers has been waning. The majority of critical books and articles on her work were published before 1990. In 1985, three years after the publication of Judith Thurman’s biography Isak Dinesen, Hollywood jumped on board, recasting the time Dinesen spent in British East Africa managing a coffee plantation with her husband as a love story starring Meryl Streep and Robert Redford. The film, Out of Africa, might have generated a resurgence of interest in Dinesen’s work, but instead it appears to have inaugurated a new period of critical indifference. These days, when the merit of fiction tends to be measured by the currency of its subjects, a confessional element in the work helps establish credibility. Reviewers try to square the antics of a writer’s life with the antics in the fiction. Even satirical verbal play is too often read and admired as autobiographical expression. And thanks to the democratic exposures of the web, it’s easier than ever to document private experiences and divulge the most intimate secrets. Confession doesn’t leave much room for imagination except to demand its allegiance to the personal, which may leave readers less inclined to find value in the extravagant lies of fiction. 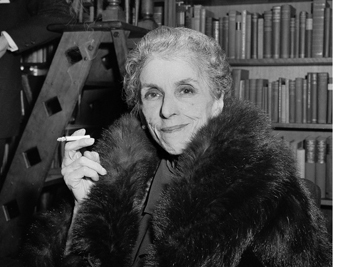 It’s understandable, then, but no less disappointing, that the tales of Isak Dinesen–filled with children who dream too much, fat old nobles who are devoted to revenge, nuns who are good at weaving, servants who are good at cooking–would be easy to overlook. The Cardinal is taking it upon himself to explain, rather grandly, the impact of his story, an intricate one about a docile young princess who gradually learns the pleasures–and dangers–of independence. Though insisting on the reality of his account, the Cardinal is drawing his listener’s attention to the exaggerations. A story, he suggests, is a vital form of expression: it offers not just a record of experience but also a vision of potential. And its truth is inextricably connected to its theatricality. Throughout her writing life, Dinesen adamantly defined herself as a “storyteller.” Thurman argues that this identity was based on a moral decision to align herself with the “fabulists of an older age” rather than with her contemporaries. Yet morality remains an unpredictable force as a Dinesen story unfolds. The conclusions of the tales are murky, and the motives of the heroes and heroines are questionable. Like the characters, we can’t be sure whether their predicaments are defined by destiny or free will. And as they try to understand the extent of their moral responsibility, the characters more emphatically inhabit their perceived identities, performing their roles with gusto. If they are beautiful to begin with, they look more beautiful. If they are old, they become impossibly ancient. If they’re strange, they become stranger. They play out the stereotypes to the extreme, even as they keep surprising us with their unpredictable qualities. Among Dinesen’s strangest creations is the title character of her early story “The Monkey,” from Seven Gothic Tales. The gray monkey from Zanzibar is a wicked little thing. When it’s not watching the guests of the house with its “glittering eyes,” it is in the library, “pulling out brittle folios a hundred years old and scattering over the black-and-white marble floor browned leaves dealing with strategy, princely marriage contracts, and witches’ trials.” Over the course of the story, the monkey disappears from the action, reappears in the background, disappears again into the darkness, reappears and, with abrupt chutzpah, transforms into a human shape, exchanging places with its owner, the Virgin Prioress. In a tale in which this bizarre metamorphosis plays an integral part, we are invited to believe that all the elements, from the historical to the surreal, cohere. The plausibility of the account has more to do with the insistent momentum of events than with verisimilitude. And the truth of the tale lies not in any familiar, verifiable outcome but in the account it provokes. A narrative makes the effect of a baffling experience more apprehensible. When a monkey turns into a Virgin Prioress and a Virgin Prioress turns into a monkey, a good story helps us to make sense of it. As we travel through Dinesen’s tales from beginning to end, we find that her characters begin to look, as the Cardinal says, “luminous and on a higher plane.” It follows that a face illuminated with an intense light takes on the quality of a mask, with exaggerated features. The Cardinal is right–these characters don’t look quite human. And yes, sometimes I’m a little afraid of them. In one of Dinesen’s early tales, “The Roads Round Pisa,” a young Danish man named Augustus sees a figure he takes to be a pensive, graceful boy drinking coffee in an osteria, and they begin to talk. Eventually, the boy is revealed to be a girl, whom we later learn is named Agnese. The story goes on to trace the girl’s involvement in a complicated affair. But while they’re still in the osteria, the two characters engage in a debate about the roles of men and women. Agnese sets the terms, offering her opinion that Adam was created by God to play the part of a guest; Eve, by default, is the hostess. It’s a simplistic formula, of course, but it becomes more meaningful as the conversation continues. Agnese challenges Augustus to describe the desires of a guest. Augustus is eager to try out an answer. According to this arrangement, the hostess is cast as entertainer. But Augustus argues that it’s not enough for her to keep a guest absorbed in the show. A hostess’s diversions should provide an expansive experience. The guest wants to be able to imagine that he has a connection to the external world and may even be responsible for its design. With the help of an entertaining hostess, he’s able to contemplate an expanded conception of himself. And finally, he will gain from the entertainment a heightened sense of purpose. While Augustus is attempting to describe a paradigmatic relationship between men and women, he ends up making revealing statements about the nature of entertainment and, by implication, about the function of stories. Dinesen is suggesting in this passage that a storyteller has a set of interrelated responsibilities. She should entertain and absorb her audience, and she should offer us some insight into our imaginative abilities. Ultimately, the fiction should return us to the world with sharpened awareness of our individual potential. Out of Africa, Dinesen’s second book, is a love story, though not the one portrayed by Streep and Redford in the film. The memoir is about Dinesen’s love of East Africa–the cultures, the landscapes, the animals. The feeling that saturates the book is reverence. Dinesen doesn’t pretend to be an expert on the country; much of what she encounters puzzles her. But she is respectful of indigenous traditions and protective of the people. In Africa there is a cuckoo which sings in the middle of the hot days in the midst of the forest, like the sonorous heartbeat of the world, I had never had the luck to see her, neither had anyone that I knew, for nobody could tell me how she looked. But Lulu had perhaps walked on a narrow green deerpath just under the branch on which the cuckoo was sitting. While the precision of the physical details is evocative, the important word in this passage is “perhaps.” It reminds us that the scene of Lulu walking in the forest is the author’s creation. Dinesen describes Lulu’s world through the proposition of an experience that she will never witness. She doesn’t claim to be accurate. Instead, she makes up a story about the antelope, filling in the gaps of her knowledge with imagined possibility. It might seem just a charming passage, without much consequence. But as she turns around the word “perhaps,” Dinesen is demonstrating how a vivid version of reality can be created from a mix of description and invention. “It was not easy to get to know the Natives,” Dinesen writes in Out of Africa. She compares the people who live on her farm to wild birds: “Like the spurfowl, the Natives might be mimicking a fear of us because of some other deeper dread.” About her young cook Kamante, she says, “Nothing, I thought, could be more mysterious than this natural instinct in a Savage for our culinary art.” Dinesen’s representation of Kamante is perplexing. But before we throw the whole book away, it’s important to follow the evolution of the stereotypes. Careful readers will find that Dinesen often recasts or reverses blunt labels. The description of Kamante is a good example. Having just declared that the culinary ability in “a Savage” can seem mysterious, Dinesen admits that she might be the “Savage” here. Though she doesn’t pretend to know what Kamante is thinking, she proposes that he would “look upon the trouble that we give ourselves about our food, as upon a lunacy.” If she, a white European aristocrat, has allowed herself to think of her servants as “Savages,” then she is responsible for considering their perceptions of her. She ends up proving that the labels borrowed from cultural prejudices reveal more about the perceiver than the perceived. In her tales, Dinesen trumps stereotypes with depictions of individuality. The broad categories used to define characters become mixed up with the ambiguities of private thought and public performances. In her nonfiction, she doesn’t pretend to have access to the unexpressed thoughts of her characters. Instead, she willingly plays the role of the fool. She’s right there in her own mask, walking alongside the troupe of actors. And with her example, she shows us that whenever we go out to look at something unfamiliar–an animal, a landscape, a culture–we end up looking back at ourselves. Dinesen went on to write her second collection, Winter’s Tales, during the German occupation of Denmark. The stories from this period are among her strongest, full of what the critic Robert Langbaum calls “bottomless wisdom.” And among them are her most effective examples of a politically engaged theatricality. In the story “Sorrow-Acre,” a peasant woman named Anne-Marie spends the day from sunup to sundown single-handedly mowing the field of an old lord as penance for her son, who has been accused of setting fire to a barn. The boy is never brought to trial, and his guilt remains no more than a suspicion. But still the old lord demands this sacrifice from the woman, and while she labors beneath the hot sun, he watches from the shade of his pavilion. The old lord’s nephew is witness to this and is appalled. He believes that his uncle has come to isolate himself, “to set himself apart from his surroundings, and to close himself up to all outer life…. Strange fancies might there have run in his mind, so that in the end he had seen himself as the only person really existing, and the world as a poor and vain shadow-play, which had no substance to it.” Before the sun has set, the nephew has left his uncle’s field. The old man changes into a brocaded suit and sips his wine. The hours pass. And with the neatness of a fable’s culmination, the woman finishes mowing the field just before the sun goes down, then crumples into her son’s arms and dies. While the story “Sorrow-Acre” isn’t explicitly about war, it does look closely at a tyrant’s skewed power. More directly, it follows the consequences of the old lord’s irresponsible performance. Here and throughout Dinesen’s work, life is self-consciously performed by the characters, their actions are designed to achieve an effect and the very words they use to describe the truth inevitably have a scripted quality. As members of the audience, we’re at an advantage. We can pay attention to the costumes and masks and gestures borrowed by the characters to produce effects. We can see their mistakes, when their efforts fail to produce intended results. The more extravagant the performance, the more exposed the character becomes. Masks are wonderfully paradoxical in this way: while they may hide the physical reality, they can show us how a person wants to be seen. The moral thrust of Dinesen’s tales leads here, to a representation of life as performance–a necessary fiction. In her pliable and accommodating theater, the truth is found in the design of the stories we tell in order to understand whom we might become. Throughout her career, with both the fiction and nonfiction, Dinesen is urging us to recognize the reality of the artificial. And when we really start searching for the truth in stories, we can find it everywhere, not just in sincere confessions but in the deliberate lies and imagined possibilities, the magic and fantasy and all the other unreal elements that go into the concoction of identity.